I finally saw the movie The Hunger Games. Loved it. Now I need to read the books. I’m getting to it. 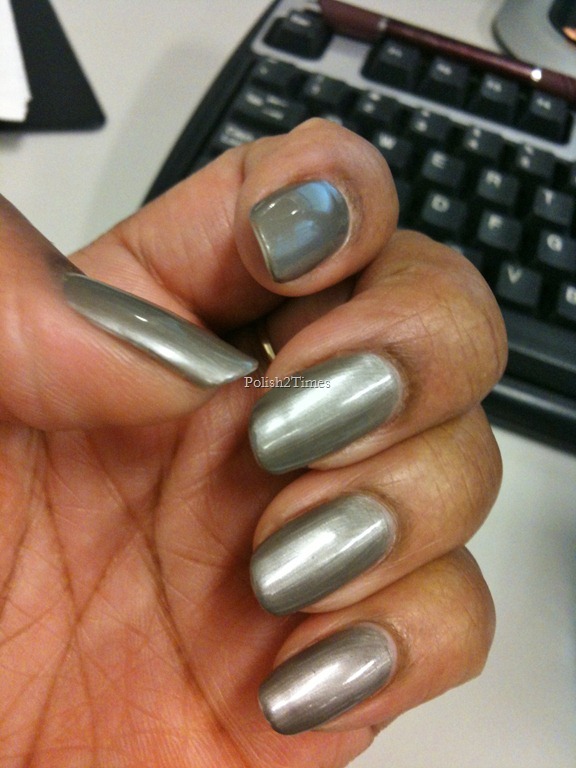 And I love this taupe-gray slate colored frost polish in the China Glaze Hunger Games Capitol Colors Collection. It made my nails feel like they had an acrylic coat too. Imagine that. They are at this awkward length stage and were feeling weak for some reason. Not after this manicure. 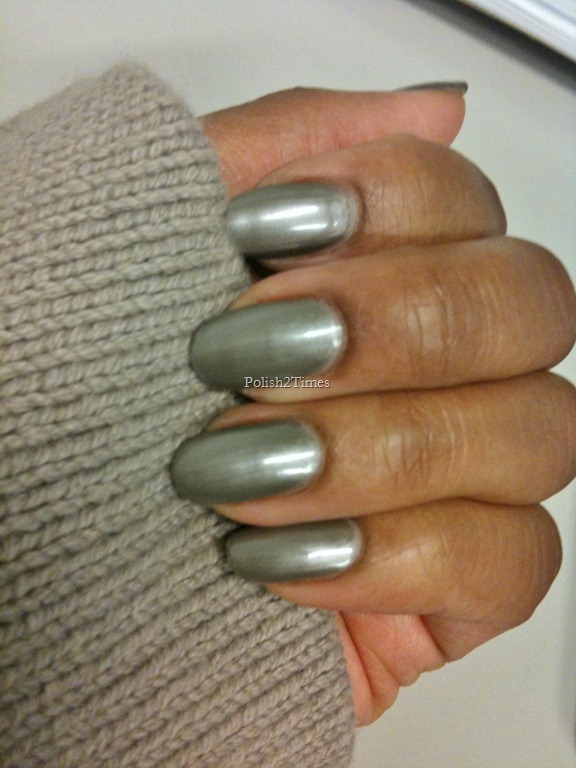 It’s a stunning neutral color and I don’t know why I didn’t use it earlier. But I guess that happens when you buy too much polish at one time. I’m making my way through my polish collection though. And thanks to my trusty Automatic Polish Remover machine, it’s getting easier. I still love that little contraption. It perfectly matched my sweater wrap too! Gotta love a matching mani! 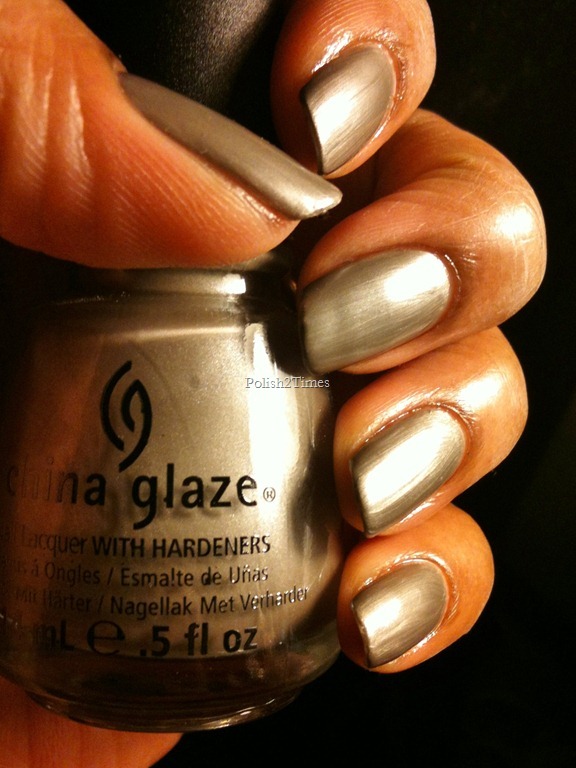 This entry was posted in China Glaze, nail polish and tagged hook and line, hunger games. This is an awesome colour. I have it as well. The other one from the Hunger Games collection I love is “Agro” – which is from District 11. Your mani looks wonderful!